I visited an amazing Mexican restaurant when I went to Orlando called Antojitos on Universal Studio’s City Walk and they served the best guacamole I have ever had. I’ve never been one for hopping on the avocado train and having avocado on sourdough for brunch, but the guacamole they made converted me into loving that trendy fruit. Did you know that avocados are fruits?! 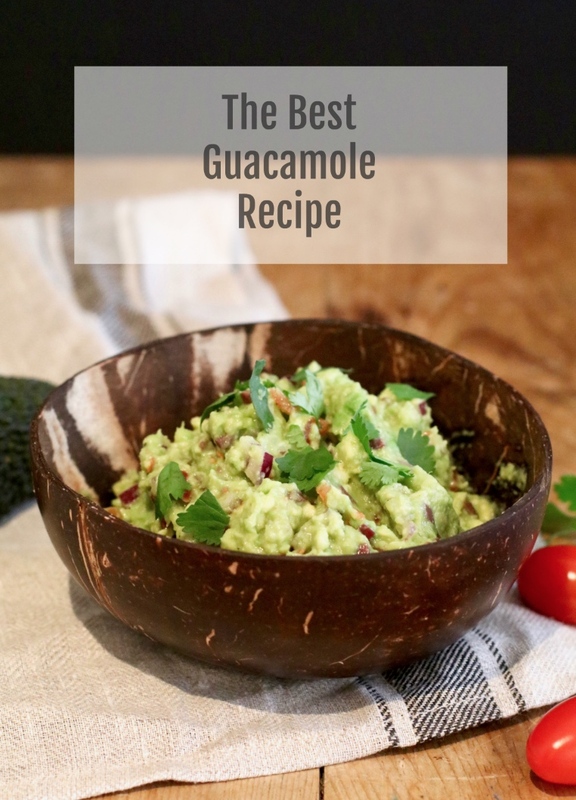 Although you won’t find me ordering avo on toast anytime soon, you will catch me making guac whenever I make burrito bowls – which is pretty often. So I thought I’d share my adaption of the best guacamole recipe. 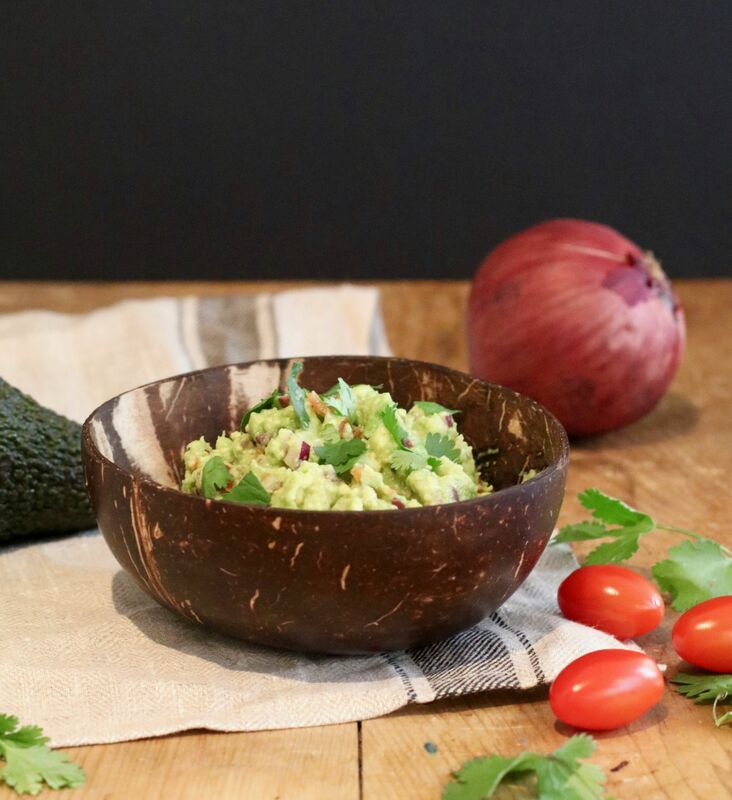 This recipe corporates the usual ingredients you may expect: onion, tomatoes and lime juice, but it also has a secret ingredient that you may have never thought about, but adds great flavour to the guacamole… olives! 1. Half your avocado and spoon out the contents. 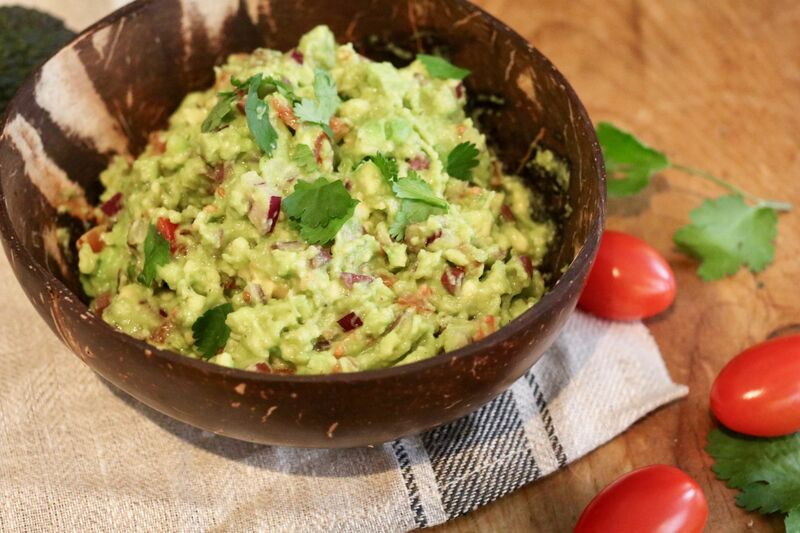 Make sure you keep the seed in case you have any guacamole left over and want to put the remainder in the fridge – the seed stops it from going brown. 2. Using a fork mash up the avocado until it is soft and creamy. You don’t need to worry about any little lumps. 3. Next add all of the other ingredients: tomatoes, red onion, olives, lime juice, salt and pepper, and if want to add the optional ingredients as well: garlic and a jalapeño or hot sauce / chilli flakes if you cannot get hold of jalapeños. Mix well until everything is incorporated. 4. Taste test to check that everything is as you like it. If you like coriander you can add some into the guacamole or just use it as a garnish. Or if you are not a fan you don’t have to add it at all. 5. Serve immediately — or you can store it in the fridge in an air tight container or with cling film covering the bowl (with the seed in it) for a day or two.